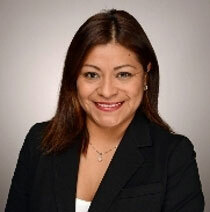 Lucy is managing partner and chief operations officer of Stuart Financial Group. With over 15 years of business administration and management experience, she brings to Stuart Financial Group the expertise to successfully oversee all day-to-day operations for the firm. Lucy is responsible for strategic planning, acquisitions and management of client service and organizational operations. In addition, she is in charge of hiring, training and continuing education with our team members. Lucy is a firm believer in the team approach, with an emphasis on exceptional client service. She maintains close relationships with clients and the SFG team in an effort to always improve Stuart Financial Group’s services and resources. In her free time, Lucy enjoys reading, traveling, spending time outdoors with her dogs and training for local running events.